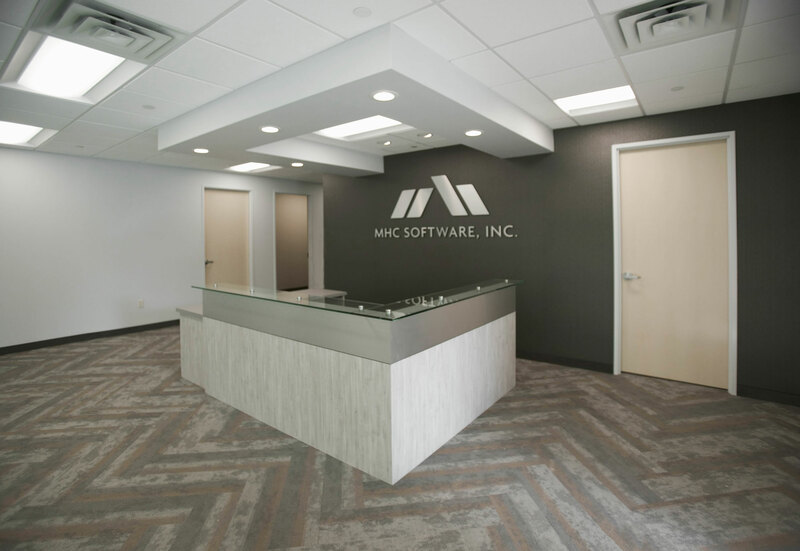 Having a great place to work means a lot to an organization, especially a first-class company like MHC Software, Inc. MHC delivers turnkey software solutions that allow organizations to better manage information, such as data, documents and more. Our team completed the Class A remodel of their 16,000 sq. ft. office space. The project included glass fronted offices and conference rooms with additional cooling incorporated within a server room and production areas. The result was a great space for a great company.